Pam is the Deputy Director of the Department for Learning Enhancement and Development and Professor of Educational Development. Pam is a National Teaching Fellow, a Principal Fellow of the Higher Education Academy and a Senior Fellow of SEDA (Staff and Educational Development Association). Pam is the Programme Director for the MPhil/PhD Professional Education and Associate programme Director for the MA Academic Practice Programme. Pam is part of the academic team in the department and has a School Liaison role with the School of Health Studies and City Law School of Law. Her areas of interest include curriculum design, staff development and motivation, personal tutoring, SoTL and educational development. Pam started her career as a nurse and then moved into Nurse education where she has spent over sixteen years prior to moving to educational development work where she has been since the summer of 2008. Pam has experience of teaching and supervising students undertaking their research from first degree to PhD level. Pam participates in a range of activities for staff such as seminars, development days and an annual conference. Pam also has a range of project management experience including as Project Manager of a four year JISC funded project on curriculum design 2008 -2012. Pam has been an active member of the Staff and Educational Development Association (SEDA). Pam is currently a member of the conference and events committee and a member of the SEDA Executive. Pam has been Vice-Chair of the SEDA May 2013 - May 2015 and conference co-chair from May 2011 - April 2013. Pam is also a reviewer for a range of nursing and education international journals. Pam is also an academic associate for the HEA. Pam has participated in a range of small scale research projects and has an interest in evaluative research methodologies and other qualitative methodologies. Pam has undertaken research into interprofessional training wards, providing assessment feedback, curricula design, awards schemes and teaching excellence. Pam's PhD study was “An evaluative research study of the process of the assessment of practice for registration as a nurse in one institution”. This involved looking at the process of assessing practice, the assessment tool and the paperwork documenting the assessment. Subjects involved in the study included student nurses, assessors and nurse lecturers. Following completion of the PhD Pam developed an assessment framework that could be used for pre-registration nursing and midwifery to assess practice. 2015 - 2016 Pam and Professor Susannah Quinsee jointly were awarded £15,000 for the HEA Strategic Excellence Initiative for Vice Chancellors or Principals. 2011 -2012 Pam explored scholarly and writing activity within the LEaD academic team. SEDA Award £500. 2004 Pam led a group following on from the interprofessional training ward initiative that continued to develop plans for interprofessional learning through different approaches and secured funding from the Strategic Health Authority for a full time facilitator. This amounted to three years salary at senior lecturer level and was £250,000. In 1997 Pam was able to gain £100.000 funding from the St. Bartholomew’s Trustees to set up an interprofessional training ward for students from five health professions. This was successful and was the first initiative of this kind in the United Kingdom. Thesis title: Understanding registered nurses’ and student nurses’ positive mentorship experiences in Jeddah (Saudi Arabia) using appreciative inquiry. Further information: Supervised with Dr Mandie Scammell. Started in 2014 and awarded in February 2018. Glen, S. and Parker, P. (2003). Supporting learning in nursing practice. Basingstoke, UK: Palgrave Macmillan. ISBN 978-1-4039-0292-4. Sumner, N. and Parker, P.M. (2012). Tutoring Online: Practices and developmental Needs of Part time /casual staff. Developing Effective Part Time Teachers in Higher Education New approaches to professional development (pp. 134–148). London: Routledge. Parker, P.M. and Freeth, D. (2009). Key aspects of teaching and learning in nursing and midwifery. In Fry, H., Ketteridge, S. and Marshall, S. (Eds. ), A handbook for teaching and learning in higher education (pp. 449–466). Abingdon, UK: Taylor & Francis. ISBN 978-0-415-43463-8. Parker, P.M. (2003). Assessment of learning in practice. In Glen, S. and Parker, P. (Eds. ), Supporting learning in nursing practice (pp. 91–107). Basingstoke, UK: Palgrave Macmillan. ISBN 978-1-4039-0292-4. Parker, P.M. and Reeves, S. (2003). Interprofessional learning in practice. In Glen, S. and Parker, P. (Eds. ), Supporting learning in nursing practice (pp. 108–125). Basingstoke, UK: Palgrave Macmillan. ISBN 978-1-4039-0292-4. Parker, P.M. and Freeth, D. (2003). Key aspects of teaching and learning in nursing and midwifery. In Fry, H., Ketteridge, S. and Marshall, S. (Eds. ), Handbook for teaching and learning in higher education (pp. 324–343). London, UK: Kogan Page. ISBN 978-0-7494-3877-7. Parker, P.M. (1995). Research. In Heath, H.B.M. (Ed. ), Potter and Perry's foundations in nursing theory and practice (pp. 263–274). London, UK: Mosby Inc. ISBN 978-0-7234-2005-7. Parker, P.M. (1995). Teaching and learning. In Heath, H.B.M. (Ed. ), Potter and Perry's foundations in nursing theory and practice (pp. 299–316). London, UK: Mosby Inc. ISBN 978-0-7234-2005-7. Parker, P. and Quinsee, S. (2018). PEER SUPPORTED REVIEW OF EDUCATION. 12th International Technology, Education and Development Conference 5-7 March. Quinsee, S. and Parker, P. (2017). Developing Educational Leadership. INTED 2017 conference 11th annual International Technology, Education and Development Conference (INTED) 6-8 March, Valencia Spain. (2016). INTED2016 Proceedings. International Technology, Education and Development Conference 7-9 March. Parker, P.M., Attenborough, J., Cunningham, M., Holland, W. and Perkins, J. (2013). Is Teaching Excellence just about being creative? SEDA Annual Conference 14-15 November, Bristol. Parker, P.M. (2013). So What is teaching excellence and how should we assess and reward it? ISSOTL 2013 Conference 2-5 October, Raleigh USA. Parker, P.M. (2013). What your communities can do for you - Professional Recognition. SHED one day event 19 September, Glasgow. Parker, P.M. (2013). Teaching Excellence from whose Perspective? 20th International Conference on Learning 11-13 July, Rhodes Greece. Parker, P.M., Attenborough, J., Cunningham, M., Holland, W. and Perkins, J. (2013). What is teaching excellence and how do we recognise this? Learning at City Conference 6 June, City University London. Parker, P.M., Bradley, S., Scott, I. and Pavlechko, G. (2012). Students awarding great teachers. SEDA 17th Annual conference 15-16 November, Birmingham. Parker, P.M. (2012). SOTL is happening but we need to shout about it. ISSOTL 2012 conference 24-27 October, Hamilton ON Canada. Bird, P., Eustance, C., Parker, P.M. and Sheppard, M. (2012). People, Processes, technology: what really enables curriculum change? ALT - C 2012 11-13 September, Manchester. Parker, P.M. and Quinsee, S. (2012). Is professional development for teaching seen as important compared to research in higher education? 19th International Conference on Learning 14-16 August, London. Sultany, A., Parker, P.M., Bullimore, A., Kostokova, P. and Jawaheer, G. (2012). Lessons learnt from applying learning analytics data for the enhancement of learning and teaching: A case study. EDUCAUSE Learning Initiative (ELI) 13-15 February, Austin Texas USA. Quinsee, S. and Parker, P.M. (2012). Learning and Teaching at City: Challenges of enacting educational institutional change. Learning and Teaching Conference 25 January, London University of Creative Arts. Parker, P.M. (2012). Assessment of learning in the clinical practice environment. New Practice based assessment 9 January, Catherine McAuley School of Nursing and Midwifery University of Cork Ireland. Parker, P.M., Bradley, S., Beaton, F. and Carne, J. (2011). Horses for Courses: a comparative approach to developing staff use of technology. SEDA annual conference 17-18 November, Birmingham. Parker, P.M. and Quinsee, S. (2011). Why does the value of interdisciplinarity that lecturers report not transfer to their programmes? AISHE-C annual conference 25-26 August, Dublin. Parker, P.M. and Quinsee, S. (2011). Preparing students to succeed in a blended learning environment. EDUCAUSE Learning initiative (ELI) 14-16 February, Washington USA. Quinsee, S. and Parker, P. (2011). Lessons in curriculum design and institutional change. AISHE-C 2010: Designing & Delivering Curricula for the Future 26 Aug 2010 – 27 Aug 2010, Dublin, Ireland. Parker, P.M., Quinsee, S., Phillips, A., Truscott, H., Lloyd, A., Eustance, C. … Brown, S. (2010). The CAMEL Trail which is about using an approach to work collaboratively across institutions. Spring 2010 SEDA conference 6-7 May, Leeds. Parker, P.M., Quinsee, S. and Detyna, M. (2009). No one knows about my award: How can I share this? Annual SEDA Conference 17-18 November, Birmingham. Quinsee, S., Brown, S., Parker, P.M., Kander, C., Truscott, H., Bartholomew, P. … Lloyd, A. (2009). Herding cats? Engaging stakeholders in complex institutional change projects. ALT-C 9-10 September, Manchester. Parker, P.M. and Baughan, P. (2009). Providing written assessment feedback that Students will value and read. 16th International Conference on Learning 1-4 July, Barcelona Spain. Parker, P.M. (2009). working with professional bodies: mapping the PG Cert. SEDA one day event refreshing PG Certificates in Teaching and Learning 6 May, University of Sussex. Parker, P.M. (2008). Promoting Good Academic Practice through Assessment design: A Schools Based Initiative. Assessment in Higher Education 2 July, University of Cumbria. Parker, P.M. and Baughan, P. (2008). Sharing good practice for assessment feedback to students. Spring SEDA conference 15-16 May, London. Parker, P.M. and Baughan, P. (2008). Staff Development for Good Practice in Assessment Feedback. HEA SWAP event 8 May, University Lincoln. Parker, P.M. (2007). Parker Framework (2004) Assessing Practice. Practice of Assessment Symposium 11 January, University of East Anglia. Parker, P.M. (2003). Instep project in North East London. celebrating Interprofessional Learning in Practice for Health and Social care 6 November, London South Bank University. Cook, M. and Parker, P.M. (2001). Supporting staff in Transition. Institue of Learning Conference 5-6 July, Stirling Scotland. Parker, P.M. (1998). Inter-professional Education - a case study. AMEE Conference 27-28 August, Prague. Parker, P.M. (1998). Setting up an Inter-professional Training Ward. AMEE Conference 27-28 August, Prague. Parker, P.M. (1995). Assessment of Professional Practice. European Network for Development of multi professional Education in Health Sciences - annual general meeting 17-18 August, Zaragoza Spain. Parker, P.M. (1994). Writing and assessing APEL claims. Reflective Theory and Reflective Practice: Strategies for Implementation 19 Jan 1994 – 19 Jan 1995, St Bartholomew College of Nursing and Midwifery London. Attenborough, J., Knight, R.-.A. and Parker, P. (2018). Undergraduate student views about assessment workload. Educational Developments, (19.3), pp. 14–16. Walker, S., Scamell, M. and Parker, P. (2018). Deliberate acquisition of competence in physiological breech birth: A grounded theory study. Women and Birth, 31(3). doi:10.1016/j.wombi.2017.09.008 . Walker, S., Parker, P.M. and Scamell, A. (2017). Expertise in physiological breech birth: A mixed-methods study. Birth. doi:10.1111/birt.12326 . Walker, S., Breslin, E., Scamell, M. and Parker, P. (2017). Effectiveness of vaginal breech birth training strategies: An integrative review of the literature. Birth, 44(2), pp. 101–109. doi:10.1111/birt.12280 . Walker, S., Scamell, M. and Parker, P. (2016). Principles of physiological breech birth practice: A Delphi study. Midwifery, 43, pp. 1–6. doi:10.1016/j.midw.2016.09.003 . El-Hakim, Y., Peat, J. and Parker, P.M. (2016). SEDA’s response to the teaching excellence framework technical consultation. Educational Developments, (17.3), pp. 1–5. Walker, S., Scamell, M. and Parker, P. (2016). Standards for maternity care professionals attending planned upright breech births: A Delphi study. Midwifery, 34, pp. 7–14. doi:10.1016/j.midw.2016.01.007 . Parker, P.M. and El-Hakim, Y. (2016). ‘Fulfilling our potential: Teaching excellence, social mobility and student choice’ – SEDA’s response to the consultation. Educational Developments, (17.1), pp. 1–5. Parker, P.M. and Cleaver, E. (2016). Reflections on the Teaching Excellence Framework. Educational Developments Issue ISSN: 1469-3267, (16.4), pp. 1–4. Baughan, , Lindsay, and Parker, P.M. (2015). Common themes and missing pieces: the educational value of postgraduate teaching development programmes. Compass: Journal of Learning and Teaching, 7(11). Bostock, S. and Parker, P.M. (2014). The revised SEDA Values and how we use them. Educational Developments, (15.4), pp. 1–3. Parker, P.M. (2014). Teaching Excellence from whose perspective? International Journal of Assessment and Evaluation, 20(4), pp. 35–43. Parker, P.M. (2014). Developing criteria and guidance for assessing teaching excellence. Educational Developments, (15.2), pp. 11–14. Meier, K., Freeth, D. and Parker, P.M. (2014). Mechanisms that support the assessment of interpersonal skills: A realistic evaluation of the interpersonal skills profile in pre-registration nursing students. The Journal of Practice Teaching and Learning, 12(3), pp. 6–24. Parker, P.M. (2013). How can we facilitate developing scholarly writing? Educational Developments, (14.4), pp. 26–27. Parker, P.M., Attenborough, J., Cunningham, M., Holland, W. and Perkins, J. (2013). Interim Project report: Teaching Excellence: what is this and how can we assess and recognise this. Learning at City Journal, 3(1), pp. 93–98. Parker, P.M. and Quinsee, S. (2012). Facilitating Institutional Change in Higher Education. The International Journal of Learning, 18(5), pp. 49–59. Parker, P.M. and Quinsee, S. (2012). Facilitating Institutional Curriculum Change in Higher Education. The International Journal of Learning, 18(5), pp. 49–60. Environments. Learning at City Journal, 2(2). Parker, P. and Quinsee, S. (2011). Developing a community to disseminate good practice. International Journal of Learning, 17(11), pp. 87–94. Parker, P.M. and Quinsee, S. (2011). Developing a community to disseminate good practice. The international journal of learning, 17(11), pp. 87–92. Parker, P.M. and Baughan, P. (2011). Providing written feedback that students will value and read. The international journal of learning, 16(11), pp. 253–262. Parker, P.M. (2009). What should we assess in practice? Journal of nursing management, 17(5), pp. 559–569. doi:10.1111/j.1365-2834.2009.01025.x . Parker, P.M., Reeves, S., Goreham, C., Freeth, D., Haynes, S. and Pearson, S. (2001). ‘Real life’ clinical learning on an interprofessional training ward. Nurse education today, 21(5), pp. 366–372. doi:10.1054/nedt.2001.0567 . Parker, P.M. and Goreham, C. (1998). RN/Diploma in Nursing and RN/BSc(Hons) in Nursing, Nursing Progress. Journal for nursing. Parker, P.M. and Sheldon, L. (1997). Review : assessing clinical competence of practitioners in children's nursing diploma programmes. Journal of child health care, 1(2), pp. 87–90. doi:10.1177/136749359700100210 . Parker, P.M. and Sheldon, L. (1997). The power to lead. Nursing management magazine, 4(1), pp. 8–9. Parker, P.M. and Sheldon, L. (1997). Leadership and team building. Nursing management magazine, 4(2), pp. 24–25. Fanghanel, J., McGowan, S., Parker, P.M., McConnell, C., Potter, J. and Locke, W. (2015). Literature Review Defining and supporting the Scholarship of Teaching and Learning (SoTL): a sector-wide study. York: Higher Education Academy. Parker, P.M. (2014). ReTE Case Study Recognising Teaching Excellence Change Programme. HEA. Wisdom, J., Lea, J. and Parker, P.M. (2013). A short History of SEDA. London. Parker, P.M. (2012). PREDICT Project website on JISC Design Studio..
Parker, P.M., Baughan, P. and Pentecost, J. (2011). Listening to the learners: the student voice scheme at City University London. York, UK: Higher Education Academy. Pam is the programme leader and oversees the Nursing and Midwifery Council route. In addition Pam teaches on EDM120 Learning, teaching and assessment and EDM114 Educational Research Project and Dissemination. Pam provides sessions on working with your supervisee and supervisor, preparing for your viva and chairing a viva and developing your conference presentation into a publication. Pam provides workshops focused on preparing teaching sessions, peer review, writing programme and module specifications, writing learning outcomes and writing for publication. International Consortium Educational Development. (Conference) Atlanta USA (2018). Review Panel. SEDA Spring Teaching and Learning Conference Understanding and improving the student experience: making a real difference in the new age of metrics. (Conference) Leds UK (2018). Organising Committee. 2018 12th annual International Technology, Education and Development Conference (INTED). (Conference) Valencia Spain (2018). SEDA Spring Teaching and Learning and Assessment Conference 2017 The quest for teaching excellence and learning gain: Issues, resolutions and possibilities. (Conference) Manchester UK (2017). Organising Committee. 11th annual International Technology, Education and Development Conference (INTED). (Conference) Valencia Spain (2017). ICED conference. (Conference) Cape Town South Africa (2016). Paper: Paper presented on How can we ensure all have an opportunity for developing their teaching practice not just those labelled as excellent? Modelling scholarship within academic practice. Enhancing Student Learning Through Innovative Scholarship 2016:How Teaching Focused Academics Are Driving Teaching Excellence UCL London (2016). Personal Tutoring enhancing staff and student experiences. INTED 2016 Valencia Spain (2016). Description: Parker P (2016) paper presented on Personal Tutoring enhancing staff and student experiences. Raising the Profile of the Scholarship of Teaching and Learning(SoTL) in schools and across the institution. St David’s Hotel and Spa, Cardiff (2015). Description: Dr Pam Parker and Dr Rachael Knight provided a workshop at SEDA Annual Conference 2015 on Scholarship and Educational Development: The importance of using an evidence base for Learning and Teaching. “Demonstrating Impact of a Department for Learning Enhancement and Development”. In Madrid (2015). "Engaging Students with the Learning and Teaching Agenda,". for the twenty first International conference on Learning in New York USA (2014). Qualified to teach: the impact on professional development of national standards and KPI’s within a marketised HE sector. International Consortium Educational Development (ICED) Conference in Stockholm, Sweden. (2014). Students engaging with the learning and teaching agenda for presentation. SEDA spring conference in NewCastle (2014). Is Teaching Excellence just about being creative? 18th SEDA Annual Conference in Bristol (2013). “So what is teaching excellence and how should we assess and reward it?” ISSOTL 2013 conference in Raleigh North Carolina USA (2013). Teaching Excellence from whose perspective? 20th International Conference on Learning in Rhodes Greece (2013). “What is teaching excellence and how do we recognise this”. Learning at City Conference (2013). Common themes and missing pieces: a reinterpretation of existing research on postgraduate teaching development programmes. Society for Research into Higher Education (SRHE) Annual Research Conference, Newport (2012). Students awarding great teachers. 17th SEDA Annual Conference in Birmingham (2012). “SOTL is happening but we need to shout about it”. ISSOTL 2012 conference in Hamilton Canada (2012). People, processes, technology: what really enables curriculum change? ALT-C in Manchester (2012). “Is professional development for teaching seen as important compared to research in higher education?” 19th International Conference on Learning, In London UK (2012). “Lessons Learnt from Applying Learning Analytics Data for the Enhancement of Learning and Teaching: A Case Study”. 2012 EDUCAUSE Learning Initiative (ELI) Annual Meeting Hilton Austin in Austin, Texas (2012). ‘Horses for Courses: a comparative approach to developing staff use of technology’. SEDA annual conference in Birmingham (2011). “Why does the value of interdisciplinarity that lecturers report not transfer to their programmes?” AISHE – C annual conference in Dublin (2011). Facilitating Institutional Change. 18th International Conference on Learning in Mauritius (2011). Preparing students to succeed in a blended learning environment. EDUCAUSE learning initiative (ELI) annual meeting in Washington USA. (2011). Finding collaborative partners. 15th annual SEDA conference in Chester (2010). Lessons in curriculum design and institutional change. AISHE-C annual conference in Dublin (2010). Developing a Community to disseminate good practice. 17th International Conference on Learning in Hong Kong (2010). The CAMEL Trail. Spring 2010 SEDA conference in Leeds (2010). No one knows about my award: How can I share this? 14th Annual SEDA Conference Aston Business School Conference Centre, Birmingham (2009). Herding cats? Engaging stakeholders in complex institutional change projects. ALT-C 2009 conference “In dreams begins responsibility” – Choice, evidence, and change 16th International Conference Manchester UK (2009). Providing written assessment feedback that Students will value and read. 16th International Conference on Learning in Barcelona (2009). Developing feedback skills. Learning at City conference City University London (2009). Embedding a core curriculum using technology - the PREDICT project. BbWorld Europe 2009 conference in Barcelona Spain (2009). Promoting Good Academic Practice through Assessment design: A Schools Based Initiative. University of Cumbria for their Assessment in Higher Education Conference (2008). Sharing good practice for assessment feedback to students. Spring Staff and Education Development Association (SEDA) conference (2008). Enhancing Assessment feedback to students through staff development. Scholarship of Teaching and Learning (SoTL) Conference hosted by City University (2008). Being a QAA/DoH prototype approval site. QAA/DoH Second National Conference on the Partnership Quality Assurance Framework for Healthcare Education – England (2005). The Instep project in North East London. London South Bank University Celebrating Interprofessional Learning in Practice for Health and Social care (2003). Supporting staff in Transition. The Institute of Learning and Teaching annual Conference, Stirling Scotland (2001). Inter-professional Education - a case study. AMEE Conference in Prague (1998). Setting up an Inter-professional Training Ward. AMEE Conference in Prague (1998). Assessment of Professional Practice. European Network for Development of multi professional Education in Health Sciences - annual general meeting in Zaragoza, Spain (1995). Writing and assessing APEL claims. Conference Reflective Theory and Reflective Practice: Strategies for Implementation run by St Bartholomew College of Nursing and Midwifery (1994). How can we measure Teaching Excellence? Queen Mary University of London Educational Research Seminar series (2015). Invited to provide a seminar in this research series. Assessment of learning in the clinical practice environment. Catherine McAuley School of Nursing and Midwifery, University College Cork Ireland (2012). I was invited to provide the key note for a one day event for the launch of a new practice based assessment package and framework. This was on the basis of my PhD research and article published in 2009 on What should we assess? Staff Development for Good Practice in Assessment Feedback. University of Lincoln HEA SWAP Regional event (2008). Parker P & Baughan P Presented joint paper following a personal invitation. Also facilitated a workshop in the afternoon related to how to gain staff interest in development in this area. University of Kent external examiner for the CPD Fellowship route for four years from January 2019 – December 2022. London Metropolitan University External examiner for AP(E)L for four year period starting October 2014. Robert Gordon University Faculty of Health and Social Care Aberdeen external examiner for the NMC accredited Postgraduate Certificate in higher Education in learning and teaching starts September 2014 for four years. Birmingham City University external examiner for the Learning from Extra-Curricular Activity Module which is at BSc level 6 and is provided to a range of programmes. This post commences 1st May and runs until 30th September 2017. University Central Lancashire external examiner for the Postgraduate Certificate in Research Supervision from September 2009 until August 2013. Open University K101 Understanding Health and Social care for first year of nursing Diploma/BSc programme from September 2008 due to complete in November 2014. Open University external examiner K107 Introducing Professional Practice and Knowledge first year of Nursing Diploma/BSc from September 2008 until March 2013. Surrey University external examiner for the MSc/PG Dip Academic Practice from September 2002 – September 2008. 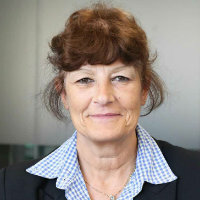 University of Hertfordshire principal and subject external examiner for the Diploma in Higher Education Nursing Adult Branch September 2000 – August 2004. King Alfred’s College of Higher Education Winchester external examiner for Project 2000 common foundation programme and adult branch from January 1997 - December 2000. External Academic Representative on the Academic Board for Blackburn College.